Adha Zelma had the pleasure of working with Noma Magazine. 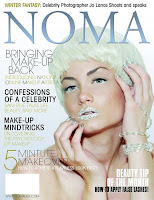 Celebrity makeup artists Vanessa Dunn and her twin sister, model and businesswoman Kelli Dunn, launch NOMA Beauty Magazine for makeup artists and those who adore makeup. The magazine features articles on topics like: How to get that celebrity look, Makeup for less, 5 Minute makeovers as well as celebrity and celebrity makeup artists interviews. Ice Princess shoot concept which made the cover!!!! 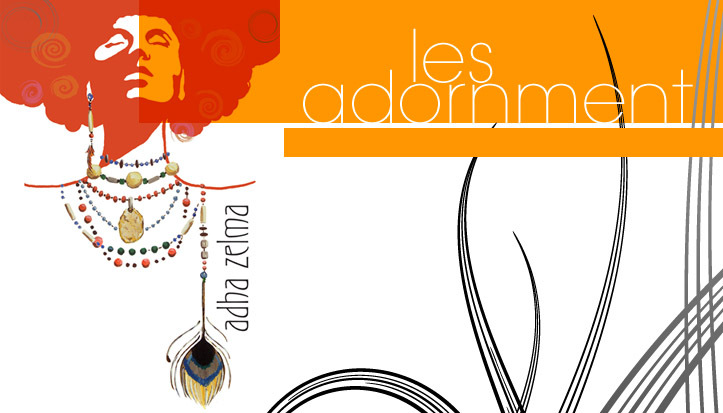 Of course the beautiful ladies are wearing Adha Zelma as well - Honey & Rain Tear Drop earrings as well as our Quartz Necklace - Multi-strands of sterling silver Czech beads accented w/ a large smoky quartz. The photographer for both shots pictured is none other than celebrity photographer Jo Lance.